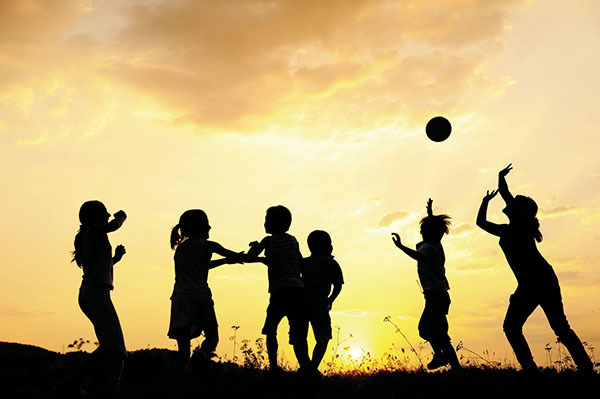 Aside from having fun, there are a lot of benefits that children get from playing; some of these include relieving stress, developing physical and mental skills, as well as improving relationships and connections with people. Playing is one of the most important things that every child should experience to help develop and improve their overall health. Whistlecopter has a variety of toys which help children develop their physical and cognitive skills and one of these is the Original Copter which is a great toy for all ages. Children who engage in outdoor play develop gross motor skills and learn how to crawl, run, climb, and balance; fine motor skills are also developed these include handling small toys. Children can develop all of these when they go outdoors and play with amazing toys such as the Original Copter. As they learn these important physical skills, your children also develop cognitive skills such as coordination and alertness. When children play with others, they learn verbal communication, body language, cooperation, and teamwork since playing involves give and take. Playing with the Original Copter helps children develop their social skills since they will communicate with each other to come up with fun games to play using the toy. They can also learn to interact with others when they invite other children to join and play with them. Other than learning how to form bonds, children also learn to resolve conflicts through playing. Since the Original Copter toys are often mistaken as various flying objects, children can play with these as you help them facilitate role playing. Let them tell a story with the use of the Original Copter toys which can act as airplanes, fireworks, shooting stars, and even UFO’s; plus, they can also use other Whistlecopter toys such as the Light Copter and the Glow Copter for more fun and enjoyment. Moreover, children can also be creative by thinking of different games to play using the Original Copter. Play is a very effective way to teach children positive socialization. When playing, children learn sportsmanship and teamwork since they will have to agree and follow the rules of a game. With the Original Copter, children can play a game of catch; they will have to agree with a rule such as running after the toys after launching them so that they can catch these before it touches the ground. As they play, they will learn the importance of being cooperative with the people around them. Since children cannot easily express their thoughts and feelings through words while they’re young, they do this through physical play. Using the Original Copter, children can find ways on how to tell a story since they can express their ideas through role play using these toys. Aside from this, children will also learn how to cope with stress, remain positive and optimistic through difficult or stressful situations, losses, and disappointments. A lot of people overlook the benefits of playing, however, both children and adults learn a lot from this simple activity. It is best to establish regular playtime with your children and to make things more fun, go outdoors with them to play with the Original Copter. Make these cool toys fly up in the sky and enjoy the view of its flashing LED lights that look like fireworks. To ensure that the whole family enjoys playtime, always make sure to purchase the Original Copter toys because unlike fake copter toys, the real Original Copters reach up to 200 feet when launched, and these are made from high-quality plastic which makes these toys highly durable and safe.